"...The animal shall not be measured by man. In a world older and more complete than ours they move finished and complete, gifted with extensions of the senses we have lost or never attained, living by voices we shall never hear." Book DescriptionArabiansChronicles the history of a horse whose refined beauty and stamina have long been admired by horse lovers all over the world. The book begins by tracing the horse's role in myth and legend. Readers learn that the earliest written record of the horse appears on a Babylonian tablet dating to about 1750 B.C. ; that — according to the writings of al-Naseri — Ishmael, the son of Abraham, was the first to mount a horse; and that because chivalry was a source of inspiration to many early warrior-poets of Arabia, the Arab horse — which is often linked to valor — was frequently and vividly described. Book DescriptionThe Arabian Horse In this book, R.S. Summerhays gives a readable and authoritative account of the Arab breed in the twentieth century, with primary emphasis on horses of Great Britain. The Arabian Horse should serve as a stimulating introduction for those who have not previously been acquainted with this noblest and most elegant of horses. Book DescriptionArabian HorsesThis book has beautiful pictures and informative text on the history, temperament, ways and looks of the arabian horse. It is a nice book for the arabian lover. Book DescriptionHistorical Reports on Arab Horse Breeding & the Arabian Horse Collected Reports from Travellers to Arabia. Book DescriptionThunder of the Mustangs Wild horses have become icons of a contemporary longing, a yearning for freedom. Hated by the rancher, loved by those who fear its disappearance from the western ranges, the American mustang has inspired passionate efforts to preserve the few remaining wild herds. Thunder of the Mustangs celebrates the legend and lore of this American icon in nine original and previously published essays and legends by leading American nature writers, cowboys, and folklorists. The essays are coupled with stunning photographic portfolios by some of the nation's best nature and wildlife photographers. Book DescriptionMustangs and Wild Horses A brief history and description of the wild horses of the western United States. Book DescriptionThe Miniature Horse Discusses the history, care, training, and breeding of miniature horses. Book DescriptionMiniature Horses Discusses the breeds, characteristics, history, and uses of miniature horses. Book DescriptionThe Ultimate Horse Book A must for everyone who loves horses, here is a comprehensive and visually stunning guide to horses from around the world. At the center of the book is a photographic catalog of 80 breeds of horse and pony. Each breed is photographed in color, and its history, physical characteristics and temperament are explained. Includes horse care, riding and equipment section. 500 photographs and illustrations. Book DescriptionThe New Guide to Horse Breeds This comprehensive roundup of the world's most important breeds will satisfy the curiosity of anyone who wants to learn more about the wide variety of shapes, sizes and qualities to be found within the species. An introductory section sets the horse in its evolutionary and historical context. Each breed, from the more familiar Shetland and Thoroughbred to the lesser known Nonius and Caspian, is described physically, with a history of its development and an account of its special features. Beautiful photographs of the horse at rest and in action illustrate the grace, beauty and attributes of each type. 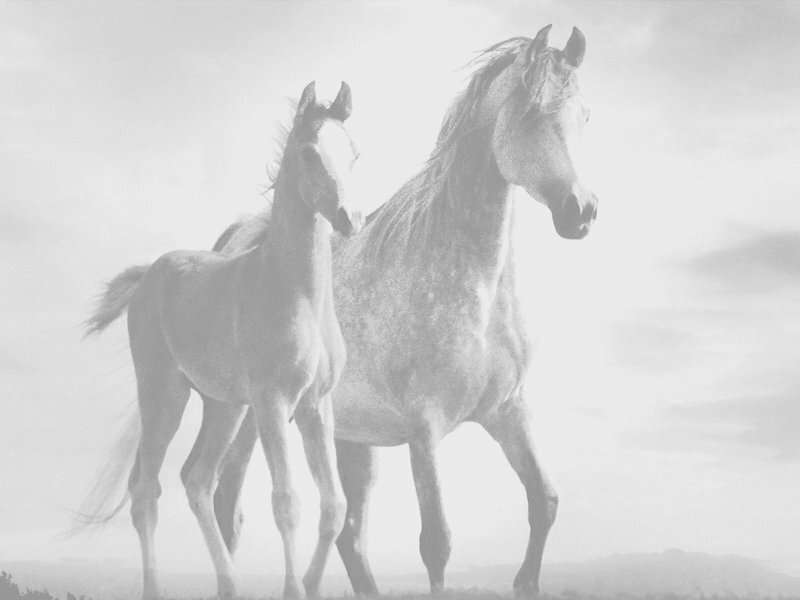 Book DescriptionVeterinary Guide to Horse Breeding Owners interested in breeding their own stock will gain up-to-date information on all facets of the process. To ensure a successful foaling, the book not only focuses on such primary topics as choosing the horses, when to breed, breeding methods, the management of pregnancy, and the neonatal foal, but also on infertility and birth control. Book DescriptionHorse Genetics The author concentrates on topics such as coat color, where information is well documented, to illustrate general genetic principles. This book is comprehensive in scope, covering additional topics such as parentage testing, medical genetics and gene mapping. Overall, the book is unique in providing an up-to-date review of current knowledge of horse genetics. It will be invaluable for students of equine studies, animal breeding and veterinary science, as well as for horse breeders, professionals and enthusiastic amateurs working with horses. Book DescriptionEquine Color Genetics Sponenberg (pathology & genetics, Virginia-Maryland Regional College of Veterinary Medicine) explains the biologic mechanisms that determine color in horses and donkeys, and the specific behavioral characteristics associated with these colors. Coverage includes an introduction to the fundamental principles of genetics and color in mammals, the basic building blocks of color, patterns of white, the role of color in breeding, and peculiarities of hair growth. Includes color photographs. Book DescriptionHorse Color This fascinating book provides a single, comprehensive and standardized system to describe and classify, for the first time, all colors and patterns of the world's horses. Some 187 full-color photos illustrate every color and pattern, even the extremely rare ones. The authors discuss the scientific evidence available for linking colors and patterns to other traits such as long and short distance speed, athletic ability, hardiness, endurance and fertility. Book DescriptionHorsekeeping on a Small Acreage How readers can supply safe and functional facilities for their horses whether they own one acre or one hundred. Describes the entire process: acreage selection, layout, construction, equipment, and proper procedures. Book DescriptionHorse Business Whether you are a seasoned professional or an aspiring entrepreneur, Starting & Running Your Own Horse Business puts you on the inside track to making money and cutting expenses. An experienced stable manager, author Mary Ashby McDonald knows exactly what works (and what doesn't) in the business of horses. Now she shares her profitable ideas and techniques with you. This practical handbook covers making the most of your investment in horses, facilities, equipment, and time; beginning a variety of income-generating activities and programs; managing promotional events that create interest and bring in business; saving cash on stable management, horse care, and equipment; plus 20 forms and contracts. Book DescriptionThe Kingdom of the Horse The Kingdom of the Horse gloriously celebrates the horse, tracing its fascinating evolution from very early origins as a feral dawn horse over 55 million years ago. It recounts how the horse adapted in a constantly changing environment to the magnificent creature that is the modern horse. It also relates how horsemanship and equestrian sports have developed into sophisticated art forms. The Kingdom of the Horse features a mini encyclopedia that profiles fifty major breeds from around the world. Each breed is pictured along with a detailed description of its characteristics and information on how the breed is put to use. With its more than 300 stunning color photographs, this is truly a gift book to give or receive. Book DescriptionThe Man Who Listens to Horses Monty Roberts has spent his whole life working with horses. He tells about his early days as a rodeo rider, his problems with his violent horse-trainer father, his friendship with James Dean, his struggle to be accepted in the professional horse-training community, and the invitation from the Queen of England that changed his life. From his groundbreaking work with horses, Roberts has acquired an unprecedented understanding of nonverbal communication that applies to human relationships as well. Book DescriptionThe Horse Whisperer In this novel, "teenager Grace Maclean loses a leg in a terrible accident while riding her horse, Pilgrim. Grace and Pilgrim are both emotionally scarred as well as physically devastated by the accident. Realizing that the fates of her daughter and the horse are inextricably linked, Grace's mother, . . . editor and journalist Annie Graves, launches an all-out campaign to find a'horse whisperer,' someone who can cure troubled horses with only a calm voice and a soothing touch. She finds her savior in Tom Booker, a man well known in equestrian circles for his almost mystical skills with horses. Annie packs up Grace and Pilgrim, leaves Grace's father with his law practice in New York, and moves to Montana to try to convince the horse whisperer to help them." These magazine offers are the lowest price available on the Internet, and they come with a FREE 90-day trial!! Magazine DescriptionArabian Focus Magazine is dedicated to promoting the Arabian sport horse in dressage, hunter-jumper, and endurance. The magazine features photographs of exquisite horses as well as interviews, tips, and coverage of riding events. Magazine DescriptionHorse & Rider is the premier magazine for Western-style horseback riding. Every issue features reader-friendly how-to information and new equipment reviews for advanced and beginner riders. Exciting graphics complement every issue, and the staff of performance horsemen and women provide practical tips on how to get the most this exciting endeavor. Magazine DescriptionTrail Rider is a widely read magazine for recreational horse enthusiasts. Magazine DescriptionAmerican Turf Monthly has helped horseplayers pick winners for six decades. The monthly magazine nurtures racing fans along the path to becoming confident handicappers  racetrack investors. Unpretentious articles about angles, the best ways to decipher class in the thoroughbred, horses to watch, money management, and high-tech handicapping in the '90s make readers more successful. The Horse is not responsible for errors in subscriptions, mailing errors or billing errors. Subscriptions available on this page are handled by enews. The Horse is an affiliate of enews.